In the 1990s, a plan was submitted to build a senior living facility on the site next to Princeton Shopping Center, at the intersection of North Harrison St and Terhune Road. The plan drew opposition and nothing ever got built. The site is currently scrubby wasteland. But last year, ‘Sunrise Senior Living’ apparently started holding meetings with local neighbors to discuss a new plan, and subsequently filed detailed plans with the Zoning Office at Princeton City Hall. 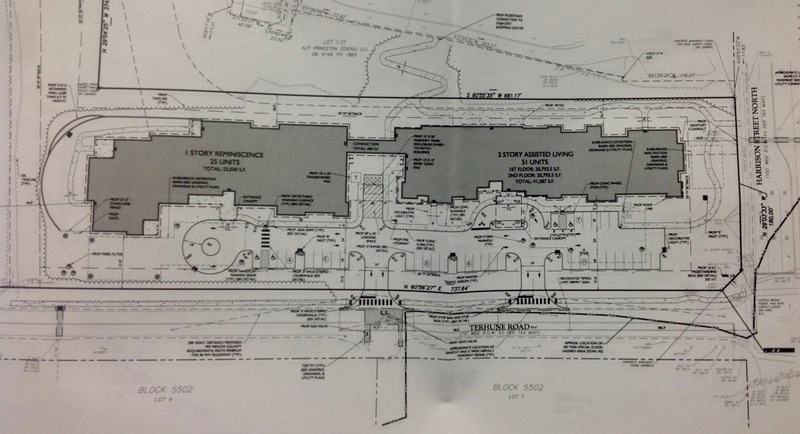 Electronic versions are not available, but we took some grainy photos, to show what the building might look like. Traffic engineers retained by the developer do not anticipate a large increase in car trips in the areas from the new facility. About 19 vehicle movements would take place daily during the morning rush hour, and 37 trips in the evening rush hour. At this point, no date has been announced to the public about when the project will be judged by relevant town committees. 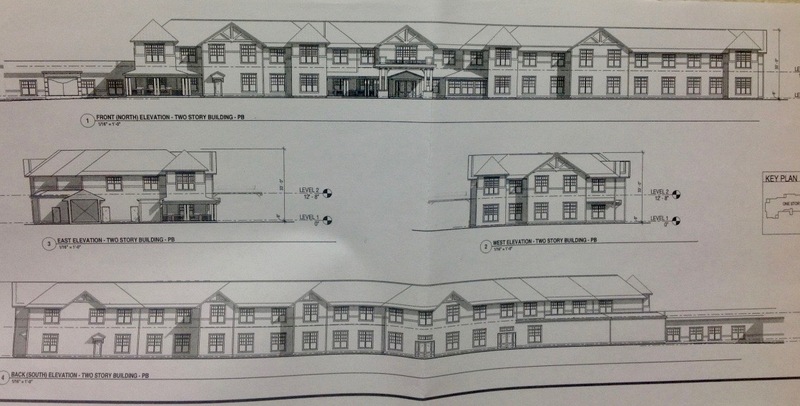 This entry was posted in architecture, planning, Zoning and tagged Princeton, senior living, Zoning. Bookmark the permalink.